02262 £99 £118.80 inc. VAT. Acrylic poly gel is a new product that has revolutionised the nail industry that enables technicians to overlay natural nails or to create nail extensions. It’s an easy to use product which brings together acrylic and hard gel. Acrylic poly gel makes the working time for the technician must faster as it dry’s on command and is unaffected by the temperature of the room. With a pleasant odour and a longer working time this makes it the perfect product for nail technicians. This course is for the more adventurous nail technicians out there who want to learn how to create beautiful nails. We show you how to sculpt Instagram worthy nails and how to perfect your French manicure. You bring your ideas and we will show you how to create them. This is an advanced course and we would like our delegates to have taken the Acrylic poly gel level one class before booking onto this course. Information of upcoming courses running at a local Aston & Fincher store. 05414 £120 £144.00 inc. VAT. Have you though about increasing your cutting skills or learning new techniques to create fresh looks for your clients ? This course is a comprehensive cutting course taking you through the techniques of how to achieve a three different cuts that are current and in high demand in every salon.Working with scissors and razors we take you through three different styles incorporating the latest techniques of stroking,back cutting and weave cutting.We provide the manikin head for you to work on and your cuts will take your styles from long to short. Theory and practical day taking you though client consultation,hair growth,suitability of the style. Understanding the correct tools and equipment needed. Conclusion - did you hit the expectations you had at the start of the course ? 076184 £50 £60.00 inc. VAT. This course can offer you all of the above. Alfaparf Lisse Design is a progressive smoothing system combining excellent performance and safety. Able to meet in a very versatile all the needs of straight hair.A product which is extraordinarily preformant reducing frizz and giving smooth,shiny and sleek hair for upto 3 months.One of the stand out factors of this product is that it is able to be used on bleached or cosmetically coloured hair. Our experienced technicians will take you through the different services you can offer with Lisse Design and all the products in the range. What will you learn on the day ? Lisse Design is so versatile you have 4 different methods which do you offer your client? 00402 £10 £12.00 inc. VAT. IT'S NOT BY CHANCE THAT ALFAPARF MILANO IS NOW THE #1 ITALIAN BRAND IN THE HAIR SALON INDUSTRY WORLDWIDE. They still strive to create things that have never existed before and are always looking to the latest trends and fashions. We have a fun and livley afternoon looking at the features and benefits of Alfaparf colour and what it can do for your business. 04402 £10 £12.00 inc. VAT. We have a fun and livley morning looking at the features and benefits of Alfaparf colour and what it can do for your business. 05149 £120 £144.00 inc. VAT. Everyone is talking about Balayage from Alexa Chung to Rihanna, anyone who is anyone is after the "just kissed by the sun" look, but good Balayage is an art. If the right products aren't used or the product is washed off too soon the caramel dream turns into a tangerine nightmare. We can show you how to enhance the techniques you already have and learn new ways to create beautiful hair for your clients? This course will help explain the latest colouring techniques and how you can use them in your salon. So what is Creative Freehand? Learn to master the latest colour applications, incorporating Balayage, Ombre, Root Drift and Sombre. A beautiful root drift can add a tonal drift of colour to compliment the existing hair colour of your client. It's easy to look after and grows out with style. Or try your hand at Sombre a softer take on Ombre hair and seen on fashionista such as Olivia Palermo. We provide you with a mannequin head to use on the day and you are able to take these away with you at the end of the course so you can carry on practising and re-creating the stunning looks you have learnt on the day. You will need to have been level 2 trained or above to take this course. Conclusion – did you achieve the expectations from the start of the course? 015016 £25 £30.00 inc. VAT. We are happy to announce Aston & Fincher are hosting five Color Wow Socials with Color Wow's Global Director of Training and Education Giles Robinson. Its going to be a fun and informative look and learn day. We show you how to create the different model looks using Color Wow products. As its a social we want plenty of interaction with the audience so we ask you to come with your questions for Giles. Stylist, educator, brand ambassador and media representative, Giles Robinson is a "demo dynamo" in the world of international hair styling and a self-proclaimed Color Wow Fanatic! A senior stylist and fourteen year veteran of John Frieda Salons in the UK, Giles splits his time between hairdressing and editorial work in his native London and working on Color Wow education and events at Federici Brands' US headquarters. 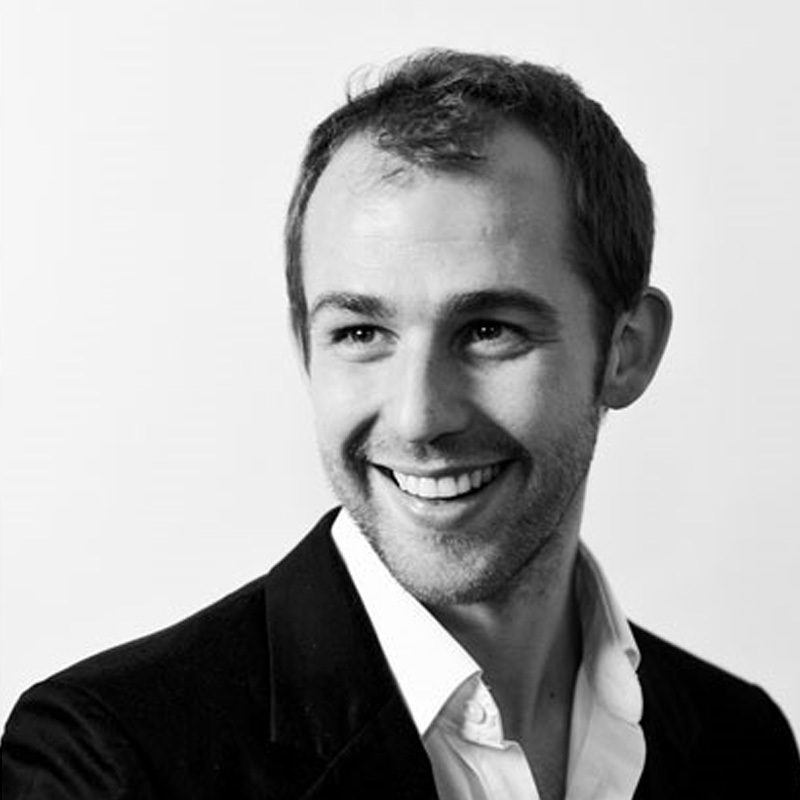 From working with John Frieda to catwalk shows and live TV with QVC Giles is personable, approachable and deeply knowledgeable, no one matches Giles’ ability to present complex information in a clear, compelling and entertaining way. 10am - Color Wow Social starts. 10am - 12pm Giles and his team will run through the model looks he has created for the show using Color Wow products. As its a social Giles will also be taking questions from the audience about how he became Color Wow's Global Director of Training and Education and why he loves the brand. 12pm - 1pm break for lunch. 1pm - 3pm Giles will open the floor to the audience about the concept of Color Wow and how you can use social media to benefit you and your business. There will be plenty of time for the audience to get selfies with Giles. 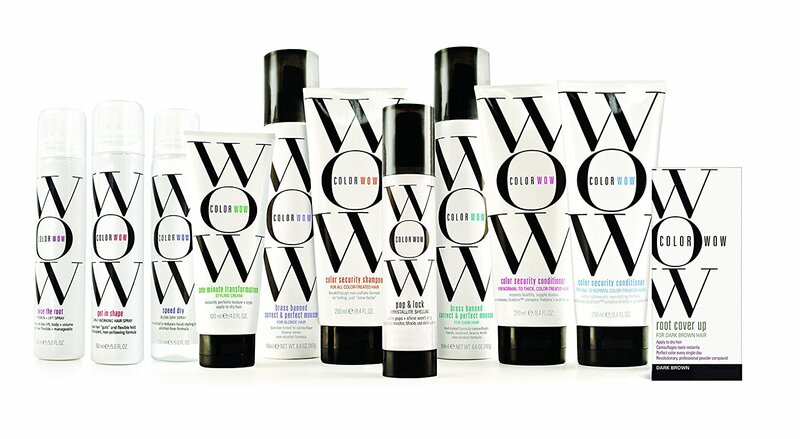 All attending delegates will receive a Color Wow Goody bag. 05609 £80 £96.00 inc. VAT. Do you want to expand your skills and learn new and exciting Colour Mixing Skills? Want to be able to offer bespoke colours to your clients ? If this sounds like something that would interest you then you need to join us for our Colour Cocktailing course and let that inner artist out! As this is and advanced class you will need a bit of experience to take this course so we ask that you are qualified to level 3 or above. We give you the skills to confidently create the latest fashion trend shades. No more muddy pinks or sludgy greys ! If you have a particular shade you are looking for bring your mood board with you and we will help you create it ! You will be working on swatches on the day and can takes these home along with the formula of how to create the shades. Conclusion – did you hit the expectations from the start of the course? 45891 £120 £144.00 inc. VAT. With this course we are offering you a full on information packed evo day. Come and join us in one of our chosen academies and become the Dumbledore of Hair Wizardry. We help you unlock the mystery and show you how to create the sorcery behind the hair magic that is evo. We take you through the evo ethos and help you gain an understanding how how to mix ,blend,bespoke and layer the products to create hair magic! 00466 £50 £60.00 inc. VAT. Equipment: Supplied by Aston and Fincher for the day. This course is a must for any Framesi Colour users. Whether you are new to the brand and want to find out more or if you would like a re-fresher on what you can do with the colour we will show you hints,tips and techniques for getting the very best out of the colour range.From the correct application of the colour, how to problem solve and best of all how to bespoke and create new shades from your Framesi colour range. The educators who take our Framesi courses are all trained by Framesi Master Technichians and you can have confidence they will take you through how to use the colour correctly and how to get the best out of the brand. We show you how to problem solve working on swatches but the best part is we show you how to create and bespoke new shades from your Framesi colour ranges. Conclusion – did you hit the expectations you wrote down at the start of the course? Delegates will work on swatches supplied on the day by Aston & Fincher. 04636 £50 £60.00 inc. VAT. Pre Requisite: to get the best from this course you will need to have been using Framesi colour for over 3 months. This is a course for true Framesi lovers! Our Framesi Masters course is an educational but social day where our educators go in depth with Framesi knowledge. Learn hints and tips of how to get the very best results from all the Framesi range. One thing we do ask is that you have been using the Framesi colour range for three months or over. What is Framesi Masters Course? This course is for the Framesi lovers out there. We go in depth and full on with this course, going through how you can get the best from Framesi. Not only are we giving you hints and tips on how to take your Framesi colouring to the next level, but we also encourage you all to share your Framesi experiences. What have you tried that worked well, what didn't? This is a Social class and we want lots of Framesi conversation. The only thing we ask is that you have been using Framesi colour for at least 3 months so that you have something to talk about! 09015 £60 £72.00 inc. VAT. We take you from start to finish on this course through all the techniques needed to be confident to produce a beautiful gel manicure. You don't need to have any previous beauty training to take this course our qualified educators will take you step by step through everything you need to be able to do a Basic Manicure and Gel polish application. 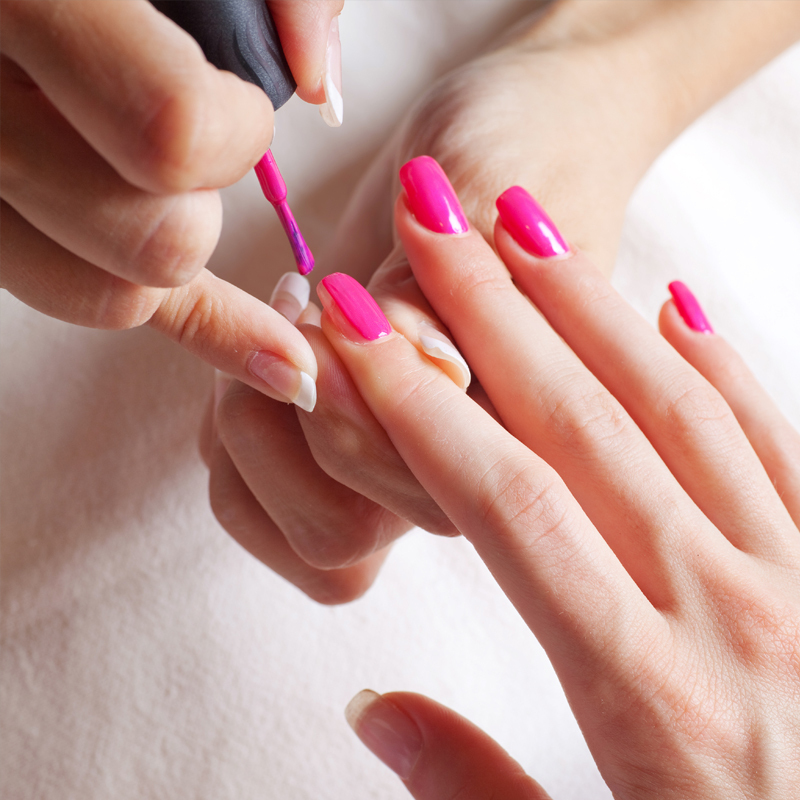 What is covered on the Manicure and Gel Polish course? Basic Manicure teaches the delegate how to produce a good professional manicure, going through Contraindications, Health and Safety, Salon Hygiene Nail polish application. Gel Colour teaches the delegate the Contraindications, Health and Safety, Salon Hygiene and then how to apply the perfect gel colour. Theory behind Gel colour application. Practical session – Gel Polish. Explanation of products and tools needed to be able to complete manicure and gel nails application. Delegates will work on each other on the day - no model required. Once you have the basics covered we have a selection of courses to take you on your Nail Technicians Journey. We show you how to create beautiful nail art with Mo You stamping and some great technical courses which show you how to use Acrylic Poly Gel. We also offer a Masters Course for those who have been using Acrylic Poly Gel for over three months and would like to learn how to achieve great Instagram worthy sculptured nails. HEART OF ITALIAN EXCELLENCE STARTS HERE. 05839 £10 £12.00 inc. VAT. NXT is one of Aston & Fincher's bestselling colour brands. On this course we will show you the results you can achieve with the colour and what other products are associated with the NXT brand. A great course for anyone who has just taken the colour brand on and would like to know how it works or for someone who has been using the brand for a long time and would like a refresher on what it can do. This is an introduction day to the NXT brand and it gives us a chance to show you what results can be achieved with the brand. Its a "look and learn" day and there is lots of information to help you also achieve great results in your salons. What can I expect from the Introduction to NXT course? We think the best way to see how something works is to see it in action and so we give you a demonstration of the colour. By seeing the great coverage of grey or root regrowth on this busy interactive course you will come away with a good understanding of how NXT performs and will inspire you with ideas for taking the colour to the next level on your clients. Make sure you have your questions ready as we have our qualified educators waiting to answer them! Once you have the basics covered we have a selection of courses which show you how to colour correct and great technical courses to help you get the best from the NXT brand. 025881 £130 £156.00 inc. VAT. Equipment: Supplied by Training Solutions for use on the day. This course will give you the skills to confidently offer a service to your clients that could enhance the way they look. Our educators will show you a unique system that enables you to correct unruly over tweezed brows. Tint and tidy greying misshapen brows. Learn how to give your client the illusion of thicker brows and we will also show you how to offer catwalk style brows to your clientele. What can I learn on the Marvel Brow course? The skills you will learn on this one day hands on course will enable you to offer your clients beautiful brows. From thinning, over plucked brows to the wild and bushy brow they all have needs and we can show you how to tame them all. Marvel Brow is a unique system that can help you correct all these issues. You don't need to have any beauty experience to attend, this course is perfect for complete beginners and the course is certificated by HABIA. We do ask delegates to work on each other and all delegates will need to have a patch test before coming on the course - your academy store will send this to you before the course date and you must arrive to the course with the patch attached. Salon hygiene, Health and Safety. Contra-indications, client care and consultation. Corrective - learn 6 brows shaping techniques, how to define, lengthen and thicken the brows. Creative - colour pallet application with maintenance and home care. Trouble shooting and how to promotion. 07533/08118 £226 £271.20 inc. VAT. 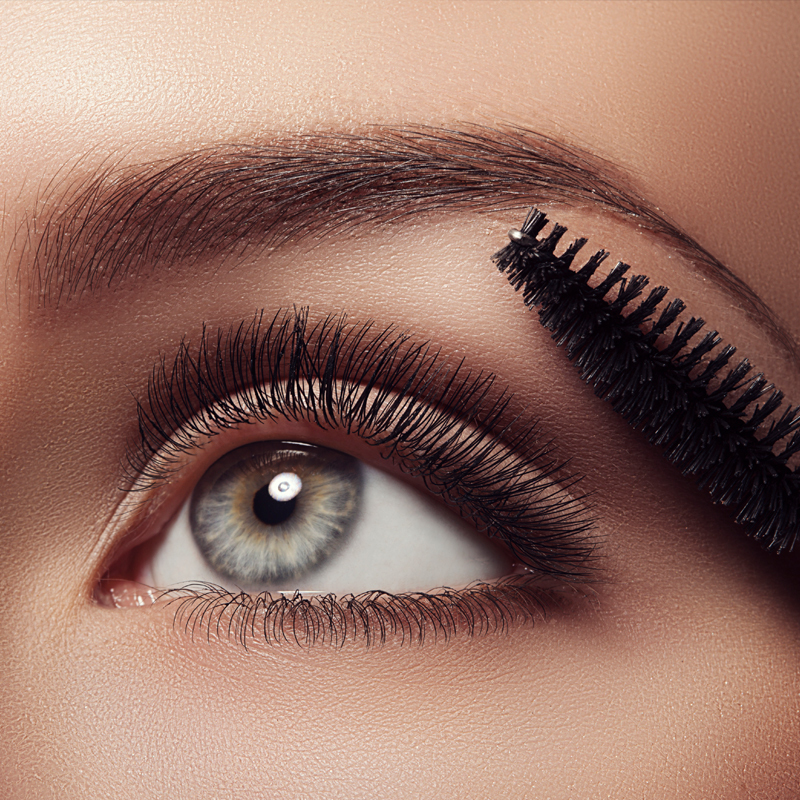 Wouldn't you like to offer your clients a service where you can give them beautiful lashes? Our educator's can teach you techniques to enhance your clients lashes and offer a service that lasts for up to 12 weeks. This is a great course for those technicians who are looking to expand their beauty knowledge or ideal for anyone looking to start in the beauty business as no experience is required for this course. Beautiful thick luscious lashes are something we all want. The techniques and skills you learn on this course will enable you to confidently offer your clients a service that not only improves their own lashes but also saves time when getting ready as they won't need to use mascara. A service that last for 12 weeks is perfect for that holiday or wedding. You don't need to have any beauty experience to attend this course and is perfect for complete beginners. The course is certificated by HABIA and we provide a kit for you to use on the day. 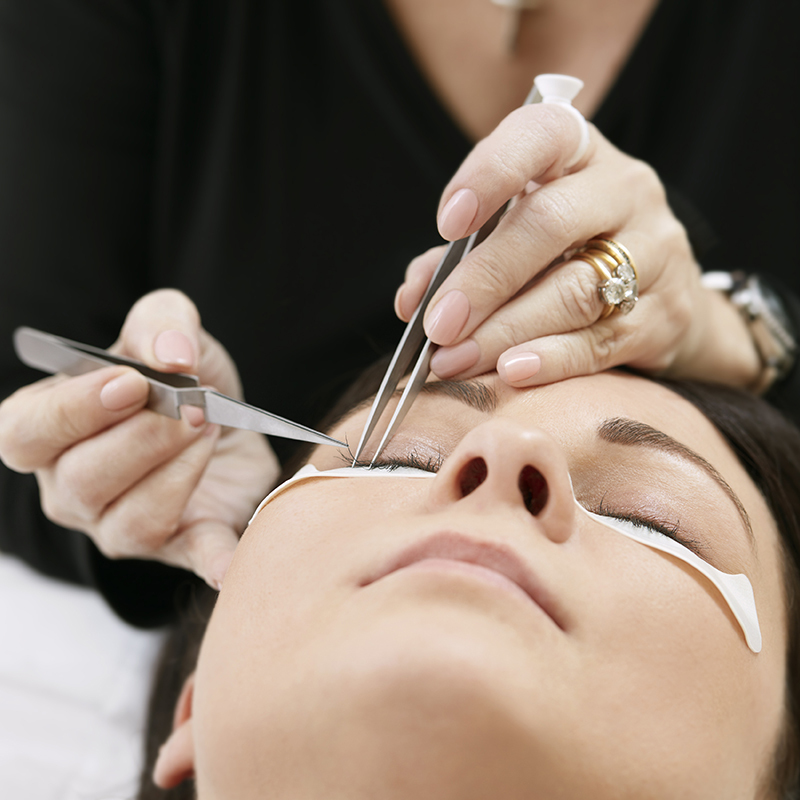 We do ask delegates to work on each other and so require all lash extensions to be removed before the course. All delegates will need to have a patch test before coming on the course - your academy store will send this to you before the course date and you must arrive to the course with the patch attached. 90042 £80 £96.00 inc. VAT. Moroccanoil Bridal: This is a course for experienced hairdressers who are looking to learn fresh techniques.The Moroccanoil courses are updated annually and, on this course you will learn 2019’s beautiful bridal looks. We show you which products you need to create three timeless beautiful bridal styles and encourage you to experiment with accessories to produce stunning bridal hair. What are the differences between classic, romantic and modern looks? Work through three different Moroccanoil bridal looks, create them and then create your own signature looks on mannequin heads. 77894 £80 £96.00 inc. VAT. What is Moroccanoil Editorial -the Freedom Collection? This is a celebration of the craftsmanship of you the professional hairdresser. Using editorial styles that are designed to free your creative spirit and unlock your artistic vision we work with you to create Moroccanoil’s 3 key editorial looks for 2019.Our Moroccanoil educators are regulars at London and New York fashion weeks and have many hints and tips to help you create stunning catwalk ready hair. Working on mannequins you create your editorial looks – make them catwalk ready! 90036 £80 £96.00 inc. VAT. Signature Finish and Knot work-: The techniques our Moroccanoil Educators will show you on this full and interactive day begin with the best Moroccanoil products to use to produce their three signature blow dry’s. You will then turn those three signatures looks into three Moroccanoil knot work looks which include braiding with stitching. Combining Hands-on work and demonstrations on mannequins this is for course for hairdressers to learn new techniques to help them enhance their blow dry skills and expand their braiding skills. If a great course to re-fresh your blow dry skills or to learn new ways to braid. Where would you wear theses looks? Which clients would they be suitable for? 06987 £30 £36.00 inc. VAT. Creating unique, unusual nail art is easy with Mo You nail plates and stampers. 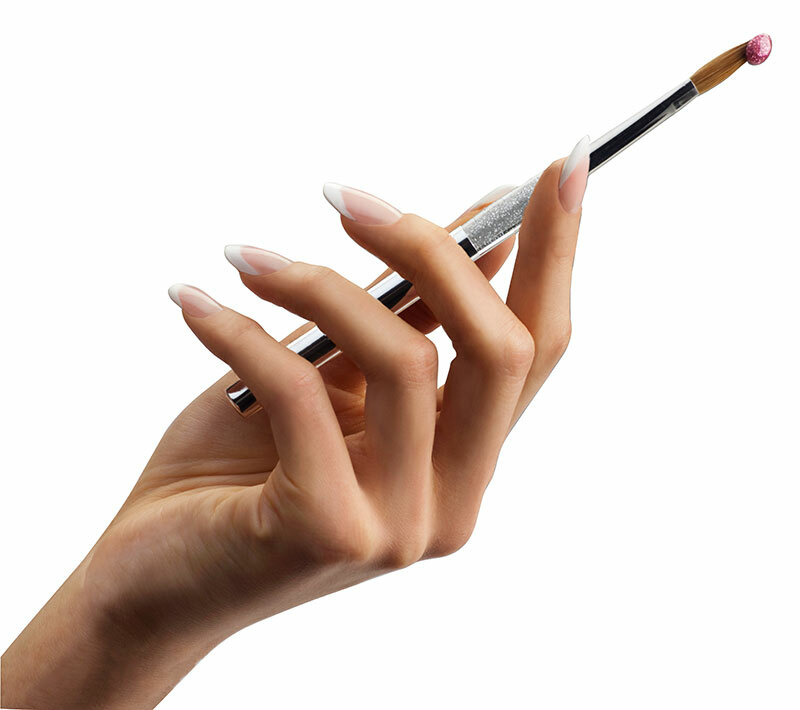 Our educators will show you techniques to take your nail art to the next level. Quick, fast and totally addictive! They will go through how to apply and pick up the designs on the stampers and also the next level of nail designs - nail transfers. Once you start you can create so many different designs even perfect your French manicure half moon. What is Mo You and More? 01423/20148 £65 £78.00 inc. VAT. The main things that will be learnt on this course: Application of NXT Colour to create fashion shades. What is NXT Colour techniques? NXT colour brand how to create fashion shades with the brand. 00468 £50 £60.00 inc. VAT. What is NXT Correct and Restore? You will work on swatches and we take you through how to problem solve,colour correct and show you techniques to create new shades from your NXT colour range.Working in a group of likeminded industry professionals we talk through concerns about creating new shades for clients what happens when a colour correction disaster walks through your salon door. 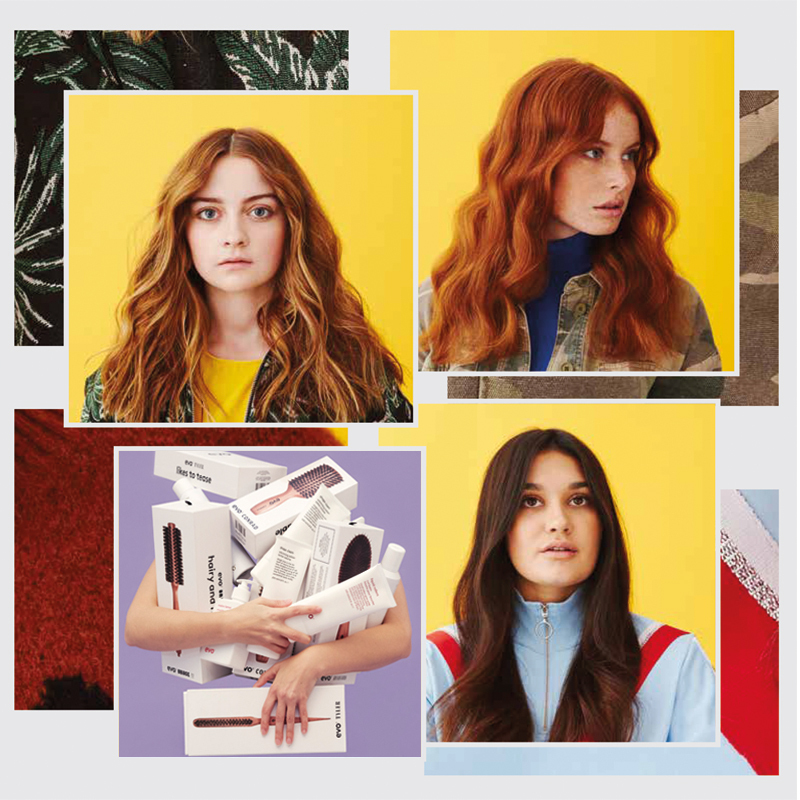 We aim to give you the confidence to create with NXT colour when you go back to your clients. 555892 £115 £138.00 inc. VAT. This is the perfect course for anyone beginning in the beauty industry, hairdressers who would like to add another service for their clients or a re-fresh of your skills.You don’t have to have any beauty experience to take this course its ideal for complete beginners and is a great way to start your beauty journey. This course will teach you the ancient art of Threading and how to achieve the perfect brow shape. This is a very hands on workshop and the educators will give you the confidence to create the perfect brows for your clients. They are also able to advise how you can use the new skills you have to get the best out of them, from pricing guides to how to integrate the services into your existing service menu. If this course caught your attention why not look at the other courses we offer for Eyes and Brows. 09018 £149 £178.80 inc. VAT. The Fade haircut would have previously been seen as an edgier hairstyle that may not have been accepted in the workplace but fashion has seen a resurgence of the Fade. From being the main style of the military in the 40's and 50's to Will Smith rocking a Fade in the Fresh Prince of Bel Air the last few years we have seen many gents rocking The Fade and looking good. Tapers, Skin Fades, Ghost Fades ,low, medium and high Fades its easy to get confused. The Wahl educators will take you through the different techniques you need to master The Fade and how to transition the hair from one length to another. Tapering and blending using the different clipper guards and how to Skin and Ghost fade without a guard. This course is a must for anyone serious about Barbering and Gents hairdressing. As its a creative course we do ask that you have at least 3 years experience before you book onto this course. Demonstrations by the educator in the morning. Practical session in the afternoon. Techniques covered are skin fades, shading and blending. Explanation of which clippers, trimmers and blades are needed to create the look. Delegates will learn aspects of classic barbering and the advanced skills that are needed to create the perfect fade. Delegates will need to provide their own model to work on. If you enjoyed the Wahl Fade course then why not book onto the Whal Shave course? This interactive course takes you through the techniques needed to offer a Traditional Wet Shave service which can add an element of sophistication and luxury to your salon giving clients a new experience and setting you apart from your competitors. Click Here for the course details. 009034 £149 £178.80 inc. VAT. What is Wahl - Creative Advanced? Serious Hairdressers and Barbers all know how important it is to keep up with the latest styles and techniques. The constant changes in fashion means there is always something new to learn. This course is great for learning all the latest looks and styles that your customers are looking for in 2019. When not educating the nation for Wahl, all of the Wahl educators own and work in busy salons so you know they always have their finger on the pulse of whats new. This is a great re-fresher course for those of you that have been in the business a while and want to see whats new or to just update your skills. The day is made up of demonstrations in depth practical sessions and is very interactive. Its a lively course full of questions, music, fantastic haircuts and at the end of the day we have a room of inspired industry professionals ready to take their new skills back to their salons. Techniques covered are texturising including Simon Shaw's "Flick and Smack" plus the latest styles and techniques in fashion. Delegates will learn aspects of the advanced skills that are needed to create the perfect pattern or design in the hair. If you enjoyed the Wahl Creative course then why not book onto the Whal Fade course. This course shows you how to create the perfect fade and how to master the "Ghost Fade" that is so popular at the moment. 08856 £35 £42.00 inc. VAT. As a former ‘Barber of the Year’, ‘Hairdresser of the Year’ and ‘Afro Barber of the Year’ winner, Michael Damiano consistently pushes the barbering boundaries. Michael started cutting hair from a young age, running a full column of clients by the age of 16 and now runs the renowned Image Barber Shop. It’s been a ground breaking career for Michael as he became the first name to be engraved on the coveted ‘Barber of the Year’ Bill Tildsley Cup and the first male barber to be listed on the famous Guillaume Guglielmi sculpture as ‘Hairdresser of the Year’. Michael’s unique talent has made him one of the most sought-after barbers. His success continues as he showcases industry leading skills alongside the Wahl Artistic Team at global exhibitions, seminars and courses. Come and join us for an evening with Michael Damiano one of the leading stars of Wahl's educational team. He has a unique style of showmanship and his events are always fun filled and exciting. Demonstrations by Michael during the evening of 2 -3 models. Chance to meet Michael Damiano for selfies after the show. One of the most inspiring & motivating hairdressers within the industry, Simon Shaw, Global Artistic Director of Wahl (UK) is known for his innovative & fun approach to education. Simon’s innovative Wahl Academy Wet Goods range won the Best Men’s range at the Hair Awards and the accolades do not stop there as Simon also won the first ever Grand Master Barber award. Simon is known for his passion towards education as he designs, develops and hosts Wahl seminars & courses. As a result of their enthusiasm & innovation for hairdressing & barbering, Simon is a huge attraction at major exhibitions with his success extending beyond the UK, as demand for his unique showmanship has seen him undertake successful tours in over 20 countries. Now after many successful years with Wahl (UK), Simon is one of the most popular & highly regarded hairdressers & barbers within the industry. Passionate & committed with a desire to make every presentation, stage show or Academy seminar that he is part of fun & exciting, Simon is undoubtedly one of the leading stars within hairdressing. Come and join us for an evening with Simon Shaw one of the leading stars of Wahl's educational team. Demonstrations by Simon during the evening of 2 -3 models. Chance to meet Simon Shaw for selfies after the show. 09203 £149 £178.80 inc. VAT. With this course Wahl have come up with something that is designed for a whole range of people in the industry. If you are newly qualified and would like something to increase your confidence with men's barbering, returning to the industry after a break and would like to brush up on existing skills or work in a hairdressing salon and do not normally cut gents hair, Wahl Solid Foundation Men's Barbering will take you through all the basics needed to create a good gent's haircut. The practical session will explain how to use clippers and scissors over comb and how to cut in hairlines, giving you the skills to be confident in cutting gent's hair. Techniques covered are clipper and comb over scissors and blending hairlines. Delegates will learn aspects of classic barbering and the skills that are needed to create the perfect gent's haircut. Delegates will need to supply a model to work on. Serious Hairdressers and Barbers all know how important it is to keep up with the latest styles and techniques. The constant changes in fashion means there is always something new to learn. The Wahl Creative course is great for learning all the latest looks and styles that your customers are looking for in 2019. 09085 £149 £178.80 inc. VAT. 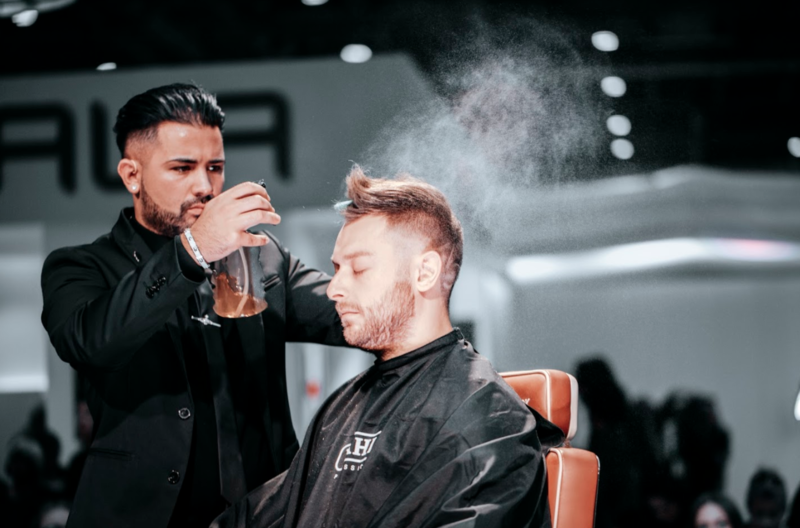 The demand for male grooming has steadily been increasing over the last few years leading to a fantastic opportunity for Barbers and Salon owners to grow their profits by taking advantage of this expanding market. A Traditional Wet Shave is fast becoming one of the most popular services you can introduce to your salon. The Traditional Wet Shave course we offer is one of the best and is taken by one of the amazing educators from Wahl. We have either Simon Shaw or Carl Blake who are two of Wahl's finest educators take our Traditional Wet Shave courses. They will take you through all the techniques needed for you to offer your clients a perfect Traditional Wet Shave. The Traditional Wet Shave service can add an element of sophistication and luxury to your salon giving clients a new experience and setting you apart from your competitors. It doesn't take long to learn the techniques for a Traditional Wet Shave, however it is very important to ensure that all our delegates are trained sufficiently and are able to maintain the highest of professional standards. Wahl educators make sure every delegate leaves with the confidence to deliver this specialised treatment. The Traditional Wet Shave course is Habia endorsed and you, unlike other Wahl courses, don't have to have any previous barbering knowledge. We also ask that you provide your own model for the practical session from 1pm. Delegates will learn aspects of a classic Traditional Wet Shave with a modern twist. 00054 £50 £60.00 inc. VAT. White to Brown have been training beauty professionals to tan for over 15 years. Come and join the professionals on this fun and interactive course where they will teach you all the skills and knowledge to give your clients a perfect tan. Following completion of the course you will be a fully qualified White to Brown technician. The course is Habia approved and counts towards CPD. This course is great if you are new to the industry and would like to start your beauty journey or if you would like to learn a new skill to take back to your salon. To help support this we are offering a FREE course to customers who purchase the White to Brown tanning kit. Ask in your local stores or speak to your local Territory Manager for more details. - Product and equipment knowledge. - History and treatment benefits. - Application demonstration and practical. - Pre-treatment and aftercare advice.